I pose the question – could Liverpool end up being title contenders this season? Or is this a step too far for a team which is still under construction, so to speak? 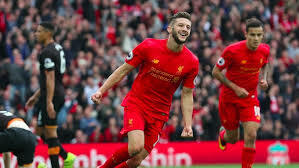 There’s little question that, trip to Burnley aside, Liverpool have played some scintillating football. Victories at Arsenal and Chelsea, as well as a draw at Tottenham, all represent great results – 7 out of 9 points from tough trips to London is great in anyone’s book. Added to that are two positive home wins – 4-1 against Leicester and 5-1 against Hull. Goals have so far been pretty easy to come by, with a number of players on the scoresheet (and with Daniel Sturridge still to find his form, there are more goals to come). However, there’s a note of concern in each and every one of our league victories – not one clean sheet. In fact, not one clean sheet at all in the league so far. This is Liverpool’s Achilles’ Heel. Whilst there are signs of greater sharpness in front of goal, a solid foundation is a must for any team that harbours title ambitions. The ability to close out matches when not playing well and grind out results is something every championship-winning side has done – look at Leicester last season – they would win a number of games 1-0, being ruthless and clinical and strong defensively. I haven’t yet seen that from this Liverpool side. So whilst I would love for us to be title contenders, I think a more realistic goal is Champions League qualification. That is not beyond us. I’m sure Champions League is Klopp’s goal this season. Anything else will be an absolute bonus.